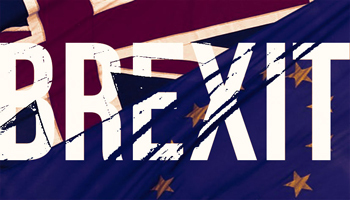 BREXIT: is it time to exit the EU? Our most important vote for a generation is set for 23rd June 2016 - on whether the UK should Leave or Remain in the EU. There doesn't seem to be any particular Party divide on the issue with prominent personalities from all parties split over the issue. This referendum on sovereignty poses the issue of political principles more than any recent general election. The consequences of this referendum will be generational. So what should we make of the #REMAIN and #LeaveEU campaigns? Is the primary issue control of national borders, economics, trade agreements, equality and employment legislation, or restoring democratic accountability of our politicians? The campaign so far has relied heavily on a series of fear and scare tactics over what life might be like after the vote rather than a positive case for remaining or leaving. Are there better arguments to be aired, and can we be trusted to hear them? The exciting aspect of this referendum is the free vote and discussion allowed within the governing and opposition parties - a brief opening up from years of stultifying management of party politics. It's unusual to have high profile politicians like Boris Johnson and Michael Gove campaigning to Leave Europe in opposition to their Prime Minister, whilst the leader of the opposition is campaigning to stay in. Will the series of unelected 'experts' wheeled out to tell the electorate of the folly of independence win us over, or will the outcome be decided by other factors? What will we make of this debate - cancel our newspapers for a few months, or make our principles count in this campaign?